People keep saying that the economy is turning around, but there has been no upswing for our clients. Instead, the past year has unleashed a relentless assault on people with disabilities, including those with HIV/AIDS. Funding cuts have resulted in reductions to income support, medical and dental services, mental health services and in-home supportive services, leaving our clients more vulnerable, more alone, and in many instances more likely to face overwhelming legal obstacles. As we begin a new year, I am mindful of the many challenges our clients face. At the same time I am heartened by the incredible efforts undertaken by our staff attorneys, our amazing volunteer Panel attorneys and our sister agencies, whose work helps to meet the many needs experienced by our clients. ALRP begins this year with two new initiatives intended to help our clients through some of those challenges. First, ALRP is part of a new legal collaborative aimed at preventing homelessness in San Francisco and funded through federal stimulus dollars. This new funding allows ALRP’s housing attorneys to fight zealously to keep people with HIV/AIDS in their homes. It also opens up a new funding stream to help people with HIV/AIDS cover their rent and other housing costs, so they can maintain stable affordable housing. 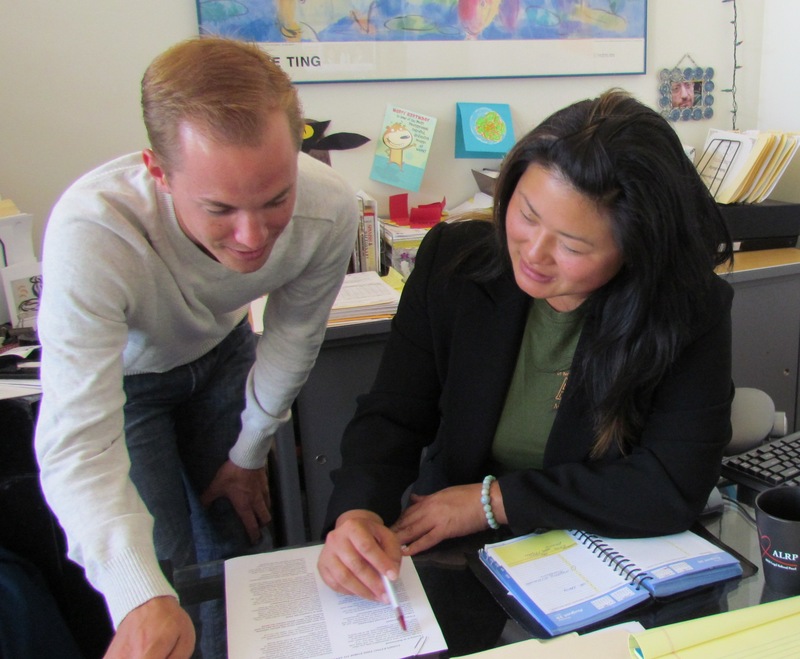 ALRP is partnering with the Eviction Defense Collaborative, the Bar Association of San Francisco’s Volunteer Legal Services Program and the AIDS Housing Alliance in these efforts to prevent homelessness. ALRP will also launch the HIV Consumer Advocacy Project (HCAP) in March. This program will help people with HIV/AIDS to navigate the often complex processes that are required to access public services. Specifically, HCAP will provide outreach, advocacy, and mediation to help HIV+ consumers access services and resolve differences with publicly funded HIV service providers. Our new staff attorney will help ensure that clients get the services they need in order to successfully manage their HIV. Having survived the tremendous challenges of 2009, ALRP is once again reminded of the many ways our wonderful volunteers and donors make our work possible. Because of you ALRP succeeded in meeting all of our fundraising goals and leveraged more than four million dollars of donated legal services last year. Thank you. And while 2010 promises to be just as challenging, together we can continue to help turn around the lives of those who need us.